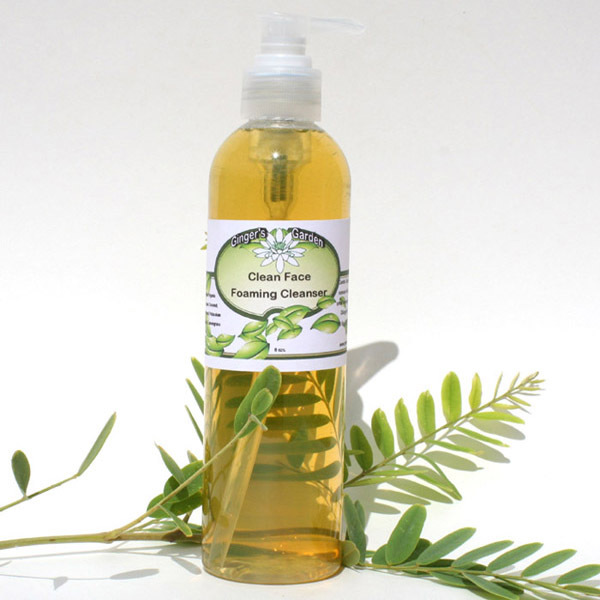 Clean Face Best Foaming cleanser liquid handmade soap cleans dirt and oil without stripping or altering the delicate skin’s balance. It is suitable for removing make-up and filmy residue from any type of skin. Clean Face Foaming Cleanser sends pollution, dirt and oil down the drain without stripping or altering the delicate skin’s balance. It is suitable for removing make-up and filmy residue from any type of skin. Battles bacteria and irritation with natural botanical extracts and essential oils (Lemongrass and Lavender). Clean Face Foaming Cleanser provides a pleasant sense of freshness.This product is naturally thin, but a small amount goes a long way! Ingredients: Aqua, Organic Potassium Oleate (Organic Sunflower Oil), Potassium Cocoate (organic coconut oil), Lauryl Betaine, Glycerin (Organic), Potassium Palm Kernelate, Palm Kernel Acid, Decyl Glucoside, Potassium Citrate, Lavender oil, Lemongrass oil.